Thursday, June 14th, 2018 the Orca Task Force reconvened after a month of preparation. Dam Sense participated as one of the public members and listened to the conversations throughout the day. Although dam breaching was one of the proposed action steps, it was in the form of “gather and study information to consider” dam removals. Not a very definitive plan, if you ask me. This tide is changing, but all too slowly. Ken Balcomb, Director of Center for Whale Research, dropped a bomb which shook the room and opened eyes to the necessity of immediate action instead of more talk and studies. L92 (male) is missing and presumed dead. And J50 (a young female) is in “bad shape”. Ken reported the young female orca displaying a peanut head; where the fat layer becomes so thin the skin starts to take the form of the skull bone beneath. A clear sign of emaciation. The Orca Task Force has 3 sub-groups: Prey Group, Vessel Group, and Contaminants Group. After the first half of the day, wherein each group presented their preliminary topics to be covered, the whole congregation split into each subgroup. Members of both the Task Force and the public were asked to choose the group they felt most interested in. It should come as no surprise that most Task Force and public attendees went to the Prey group session. Although Jim Waddell, Civil Engineer, provided each Task Force member with a 5-Means paper at the initial meeting a month ago, the most stated in writing about the Snake River was in the Discussion Guide: A National Environmental Protection Act environmental review process is currently underway to examine dam removal on the Snake River… [but regarding other dams*] A cost-benefit analysis of potential dam removals is necessary before moving forward on recommendations for removal. The Lower Snake River dams have been extensively studied in 2002 and continues to be studied by various parties to this day. During the public comments, Jim held up the 2002 Breach Appendix (the appendix itself is over 500 pages!) to prove how extensively. Creating another Environmental Impact Statement is a waste of time and money. The 5-Means paper references a cost-benefit analysis of the Snake River, which clearly shows breaching to be far more economically beneficial (and currently has a return of $0.15 to $1 invested!). Furthermore, time is not in our favor to create a cost-benefit analysis of the “Nooksack and several other dams” in consideration. If the Orca Task Force is to clearly achieve its mandate of taking action to recovery to Southern Resident Killer Whales while there is still time, breaching at 2 least of the Lower Snake River dams in 2018 is the most effective, affordable, implementable, and scientifically-founded way. 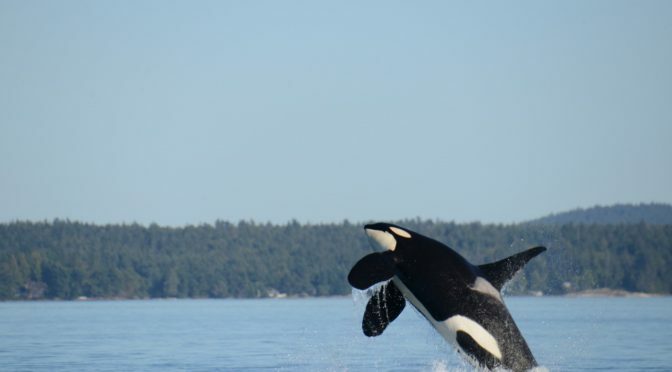 How much longer can these orcas survive while we remain inactive? Another month gone. One more orca dead. Still no action. Here are the contacts of some of the Orca Task Force members. Please write to them and share your voice on the urgency of breaching the 4 Lower Snake River Dams! These dams are ready to be breached and can be breached in a matter of months if the Corps of Engineers or BPA decides to do so. They just need the push!